From National Institute of Diabetes and Digestive and Kidney Diseases. Several constraints were placed on the selection of these instances from a larger database. 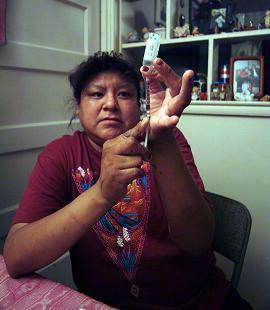 In particular, all patients here are females at least 21 years old of Pima Indian heritage. The class label represents if the person has not diabetes (tested_negative) or the person has diabetes (tested_positive). This is not a native data set from the KEEL project. It has been obtained from the UCI Machine Learning Repository. The original page where the data set can be found is: http://archive.ics.uci.edu/ml/datasets/Pima+Indians+Diabetes.